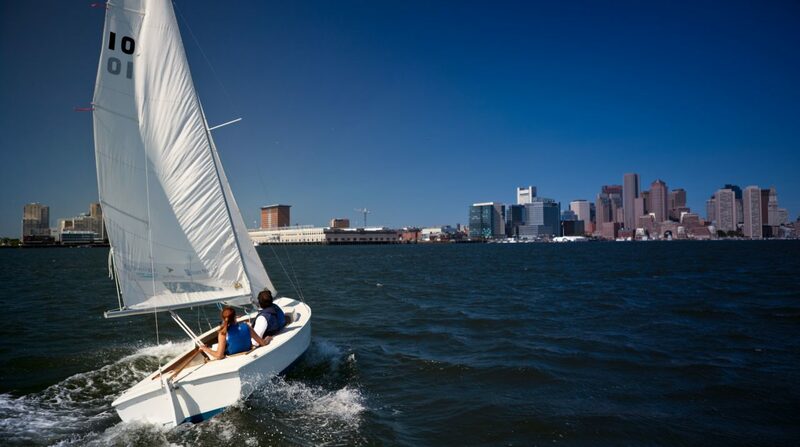 The J80 – known for its speed, grace and simplicity – was built for 3 things: leisurely cruising with friends, performance racing, and good old fashioned fun on the water. 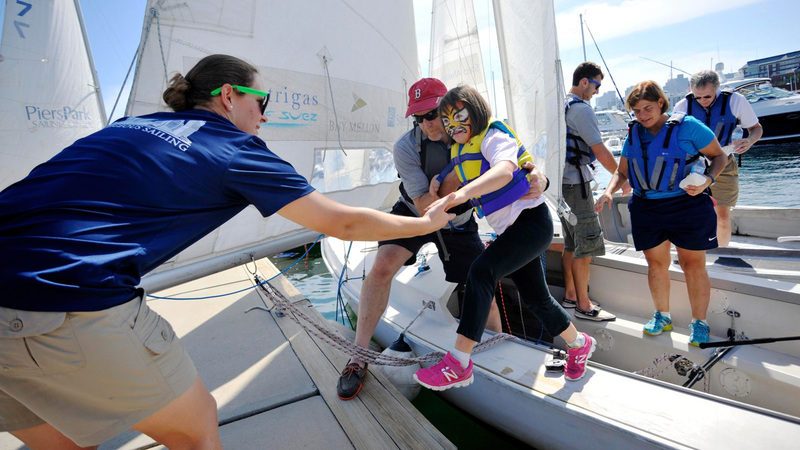 Our Performance Sailing clinics are designed to give sailors a taste of all three. In the second part of the Performance Sailing series, we provide an in-depth introduction to the spinnaker, and more opportunities to practice the advanced boat handling and sail trim topics covered in Performance Sailing 1. Conditions permitting, we typically head to the outer harbor to practice hoists, take-downs, and jibes. We review and practice how all of the various roles on the boat work together to make maneuvers possible (and safe). We also aim to review racing maneuvers like mark roundings and roll tacks–which help to build great boat handling skills, whether you’re a racer at heart or just aiming to be the most confident sailor you can be. 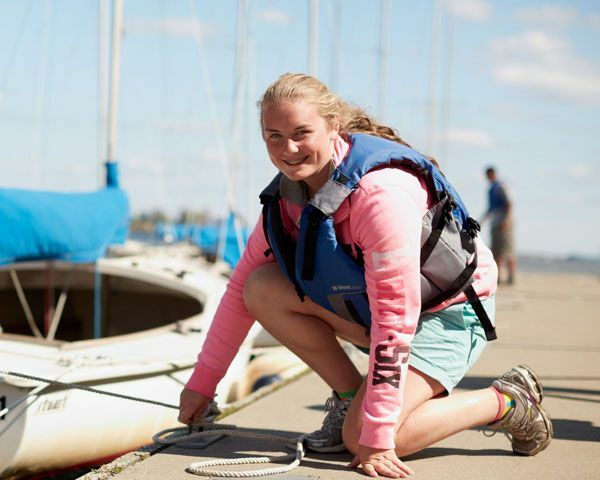 Review of J80 boat handling, sail trim and crew positions. Rigging and packing an asymmetrical spinnaker. 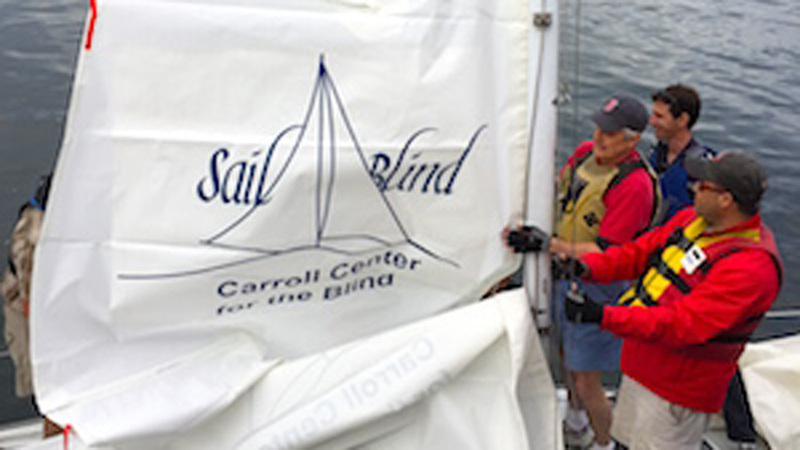 Safely setting, flying, jibing, and dousing an asymmetrical spinnaker. Performance 2 is a one-day clinic that runs on a Saturday from 10:00AM – 4:30PM with a 30-minute lunch break. 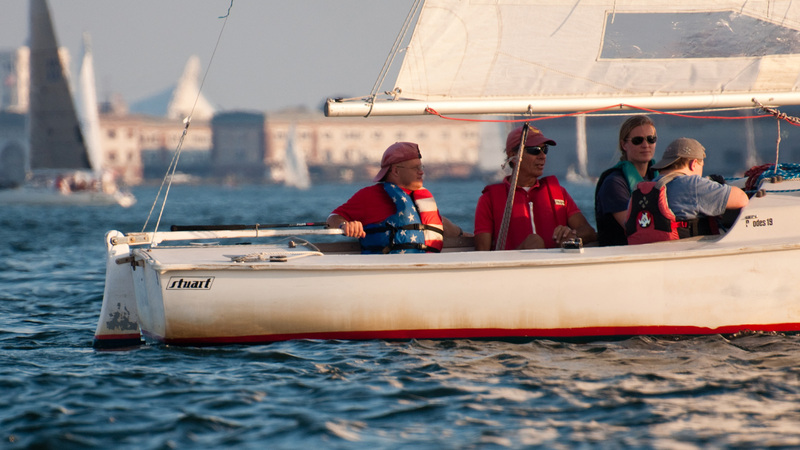 Performance Sailing 2 is a 1-day, 6-hour, clinic. 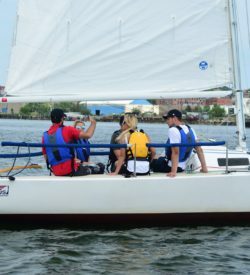 It does not guarantee participants a spinnaker endorsement on the J80, which typically takes more time and practice than a 6-hour clinic can provide. More experienced students demonstrating a very strong command of spinnaker-handling may be granted endorsements on a case by case basis – but an additional check-out outside of the course is more typically required. Participants may find it helpful to take the clinic more than once. A J80 membership is not required but would be necessary to reserve and skipper a J80 outside of class.